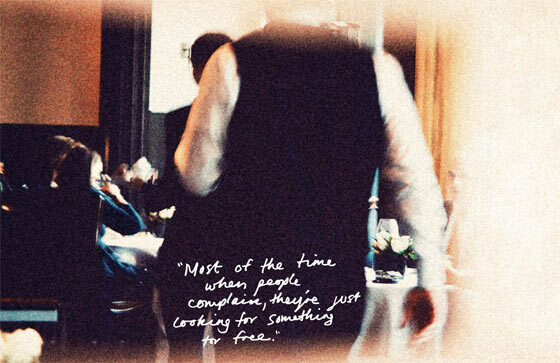 An anonymous Per Se waiter reveals some of the most intimate and surprising details of his job. The part that touched me the most and in fact brought a tear to my eye: "There’s nothing more fun than to wait on someone who is genuinely interested in the food. You’ll get a couple that comes in, and this is their one time a year, and they’re just so happy to be at the restaurant. There was this kid blogger, he was like 16 or 17, and he had blogged about how he was saving up his allowance to come to Per Se. And he did. He came by himself and had lunch." For other workplace 'snitch' articles from the most recent New York Magazine issue, including a teacher, a banker, a bikini waxer, an ER doctor, and many more, see here. The Today Show with My Chef!